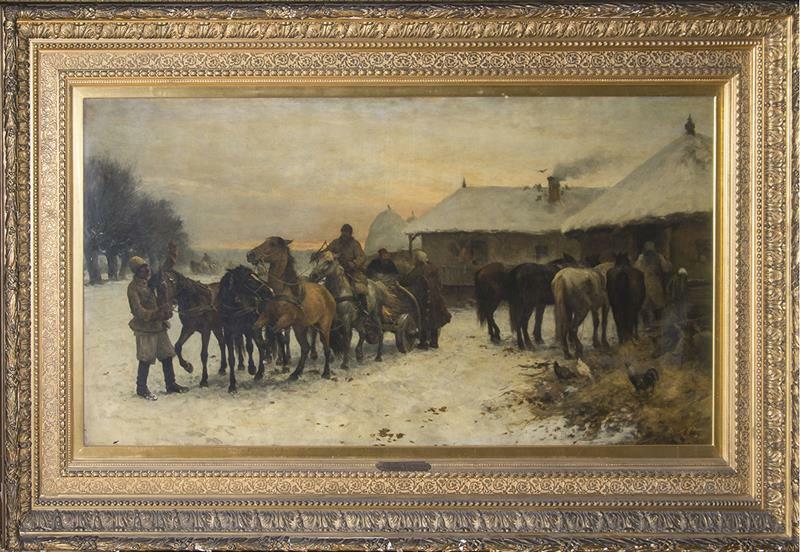 Otton Von Theron’s “The Relay” – which was part of the Prendergast Library Art Collection, sold at auction on Oct. 28, 2017 for $5,000, a $1,000 more than its estimated value. JAMESTOWN – Three more paintings from the Prendergast Library art collection have sold at auction for a total of $9,900. According to the Stair Galleries website, the three paintings that sold as part of an Oct. 28 auction (listed below at the end of this report) had a combined estimated value between $7800 to $15,200. The top selling painting was Otton Von Theron’s The Relay, which sold for $5000, $1000 more than its high-end estimated value. The art sell is part of the Library’s effort to auction off its $1.17 million classic art collection. Earlier this month, six other pieces sold at a Sotheby’s auction for a combined sales price of $328,500. Before auction, the total estimated value of those six paintings was $55,200-$85,800. So far, nine paintings from the Prendergast Art Collection have been sold since the board voted earlier this year to auction off the art collection. 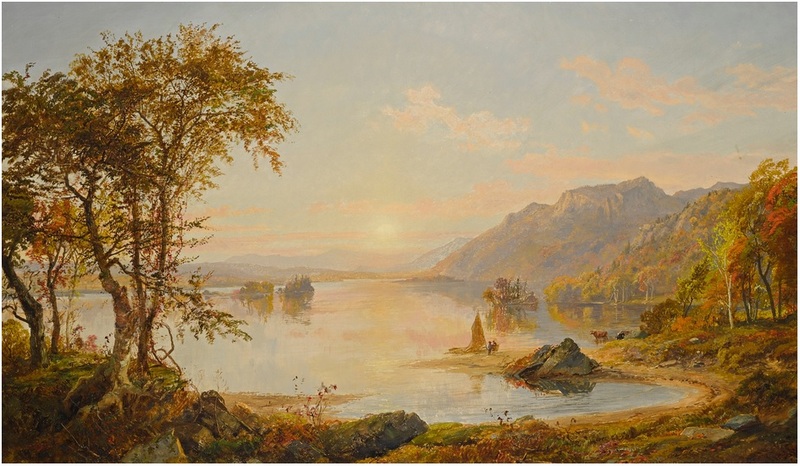 The total sales price for the nine paintings is $338,400, although a large portion of that total comes from the sale of one paintings – Jasper Cropsey’s Lake George, which sold for $275,000 on Oct. 6. The estimated value for the nine before auction was $62,000 – $101,000. It’s not yet known how much of the $338,400 will make its way to the Prendergast Library. During the library’s October board of trustees meeting, president Tom Rankin said he wasn’t able to say how much money the Oct. 6 auction would yield because they sales were not yet finalized by Sotheby’s. Jasper Francis Cropsey’s Lake George, a painting that was in the Prendergast Library’s classic art collection, sold at an Oct. 6 auction at Sotheby’s for $275,000, more than five times its estimated value. 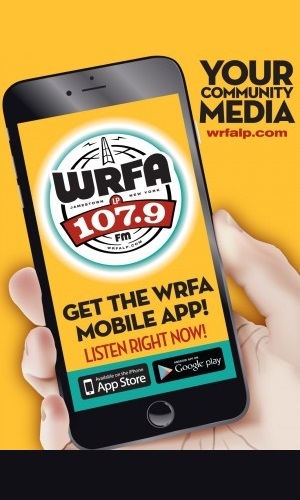 Rankin said that any funding from the artwork auctions will be applied to the library’s endowment fund, rather than it’s general operating budget, despite there being a budget gap for 2018 due to a proposal by the city to reduce library aid by $50,000. That reduction has yet to be finalized by city council and library officials are hoping the council will restore the cut before approving a final spending plan for the city, which is due by Dec. 1. The library has been cash-strapped in recent years due to a decline in donations from the community, as well as a reduction in aid from the city of Jamestown. To respond to the financial challenges, the library board made the decision to auction its classic art collection. That decision was meant with opposition by some members of the community, who felt the classic artwork should remain in Jamestown for the community to appreciate, as was the intent when the collection was first put together more than a century ago. This past summer, the State Attorney General’s office granted permission to the library to deaccession and sell the collection, but only if done through auction. The next auction of the art collection will feature the European artwork and will take place on Nov. 21 through Sotheby’s, with the specific paintings and estimated value to be released two weeks prior to the auction date.